Long after the Miu Miu and Karen Walker bird printed collections of spring 2010, I'm still in the midst of an obsession with avian prints. 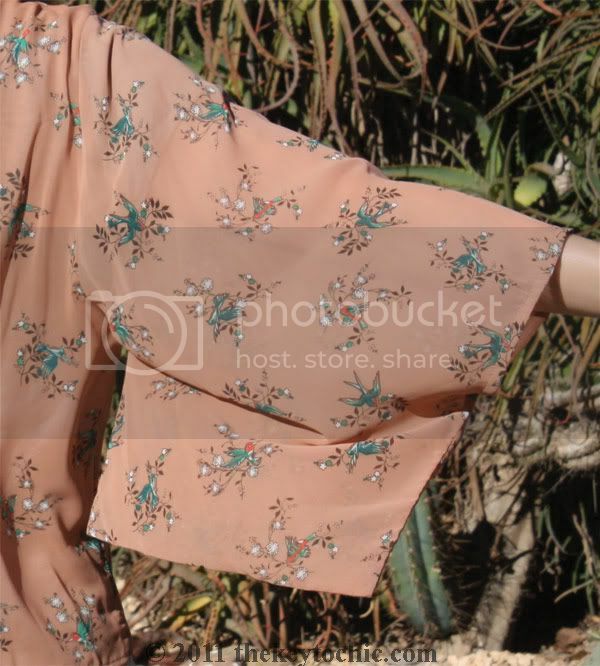 This diaphanous top from Forever 21 (which Jamie recently wore so beautifully) drew me in not only with its true kimono sleeve shape and delicate peach background, but also with its delicate hummingbird print and cerulean accents. A random passerby seemed to approve of my outfit, given the odd and unwanted "looking great, very nice" comments he kept shouting from a distance while these photos were taken, all while I concentrated on avoiding any rattlesnakes. (Not pictured in this area are multiple rattlesnake warning signs.) I've come to the conclusion that my love of nature's prints far outweighs my love of nature. 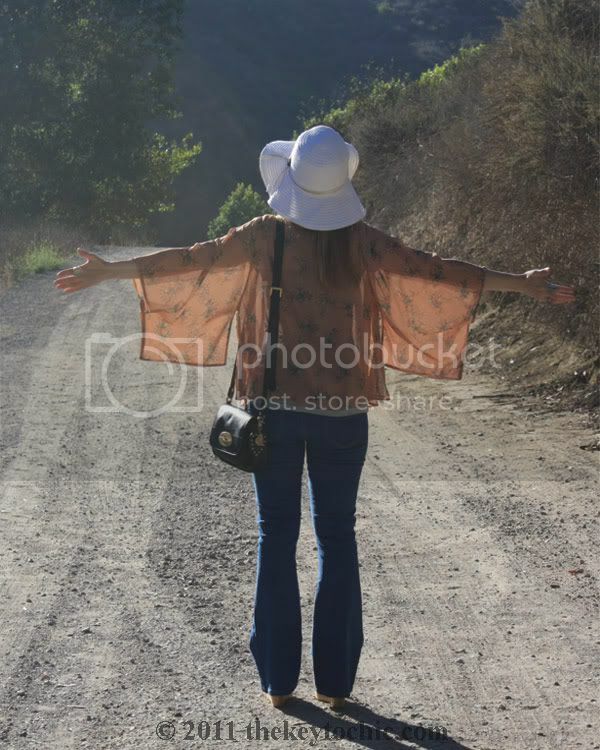 Wearing: Ray-Bans, Fashion Club hat, Forever 21 hummingbird kimono, Jovovich-Hawk for Target T-shirt, Topshop jeans, Swedish Hasbeens for H&M wedges, Forever 21 rings, and Mulberry for Target handbag.